CHICAGO (May 18, 2016) – Hyatt Place London Heathrow/Hayes opens today, marking the introduction of the Hyatt Place brand in the U.K. 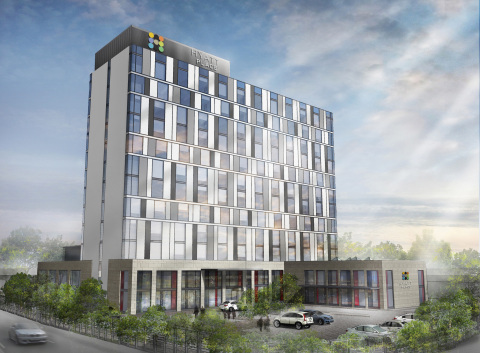 The 170-room hotel joins three Hyatt Place hotels in Europe, including Hyatt Place Amsterdam Airport, Hyatt Place Jermuk and Hyatt Place Yerevan. The brand’s global growth illustrates the success of the select service model as Hyatt Place hotels continue to create value for guests and owners. Located less than 10 miles from Heathrow Airport, Hyatt Place London Heathrow/Hayes provides guests with a relaxing and uncomplicated place to pause before beginning the next leg of their journey. The Heathrow Express connects guests to Central London with trains departing every 15 minutes. Additionally, the historic and picturesque towns of Oxford and Windsor are a short distance away on the M4 motorway. To learn more about Hyatt Place London Heathrow/Hayes, or to make a reservation, visit londonheathrowhayes.place.hyatt.com. Hyatt Place, a brand of Hyatt Hotels Corporation, combines style, innovation and 24/7 convenience to create a seamless stay with modern comforts. There are more than 240 Hyatt Place locations in the United States, Armenia, Chile, China, Costa Rica, Honduras, India, Mexico, Morocco, Nicaragua, Panama, Puerto Rico, The Netherlands, and United Arab Emirates. To learn more about Hyatt Place hotels or to make a reservation, visit www.hyattplace.com. Hyatt Hotels Corporation (NYSE: H), headquartered in Chicago, is a leading global hospitality company with a portfolio of 12 premier brands and 652 properties in 53 countries as of March 31, 2016. The Company's purpose to care for people so they can be their best informs its business decisions and growth strategy and is intended to create value for shareholders, build relationships with guests and attract the best colleagues in the industry. The Company's subsidiaries develop, own, operate, manage, franchise, license or provide services to hotels, resorts, branded residences and vacation ownership properties, including under the Park Hyatt®, Grand Hyatt®, Hyatt Regency®, Hyatt®, Andaz®, Hyatt Centric™, The Unbound Collection by Hyatt™, Hyatt Place®, Hyatt House®, Hyatt Ziva™, Hyatt Zilara™ and Hyatt Residence Club® brand names and have locations on six continents. For more information, please visit www.hyatt.com.